Apologies if you’ve been waiting patiently for the First Look at this new Cotic Escapade since its initial appearance in Fresh Grit Friday but…well…the sun has been shining, the trails have been dusty, and frankly we got a little carried away with the pedalling side of things. But we’ll take a brief break from riding fun now to bring you a look at this colourful machine from Cotic. Lifestylin’ it up, urban stylee. The Cotic Escapade is advertised as a drop bar ‘Life Bike’ for ‘road, trails, gravel, commute, tour and adventure’. It’s been a much loved part of the Cotic line up for some years now, but 2018 sees it with a few updates. There’s now a tapered head tube with integral headset, flat mount brakes, and 12mm thru axles. 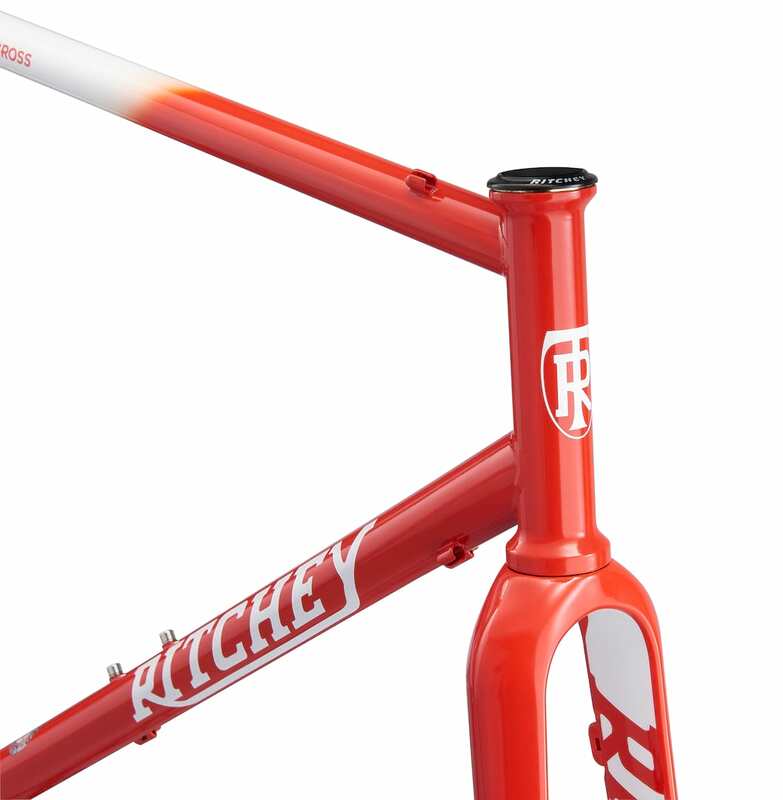 The frame is still steel, but the fork now comes in two options: there’s an alloy steerer option with carbon fork legs, or you can upgrade to a full carbon fork and save yourself a claimed 200g. We have the alloy steerer version on test. The frame manages to retain that nice traditional steel look, however the top tube is actually not round but oval – not that it’s especially noticeable until you put your hand round it. Gold Carbon – £1,829 – Full carbon fork, Shimano 105 drivetrain, Shimano hydraulic brakes, carbon seatpost and bars. Gold – £1,699 – Alloy steerer/carbon fork, Shimano 105 drivetrain, Shimano hydraulic brakes. Silver – £1,349 – Alloy steerer/carbon fork, Shimano Tiagra drivetrain, Shimano cable disc brakes. Bronze – £1,099 – Alloy steerer/carbon fork, Shimano Sora drivetrain, Shimano cable disc brakes. All are available with the optional upgrades of ‘Road Plus’ tubeless ready tyres and wheels (£200) or Hope 20Five Wheels (£250). We have the Bronze build with the Road Plus upgrade, total value £1,299, in a small frame. 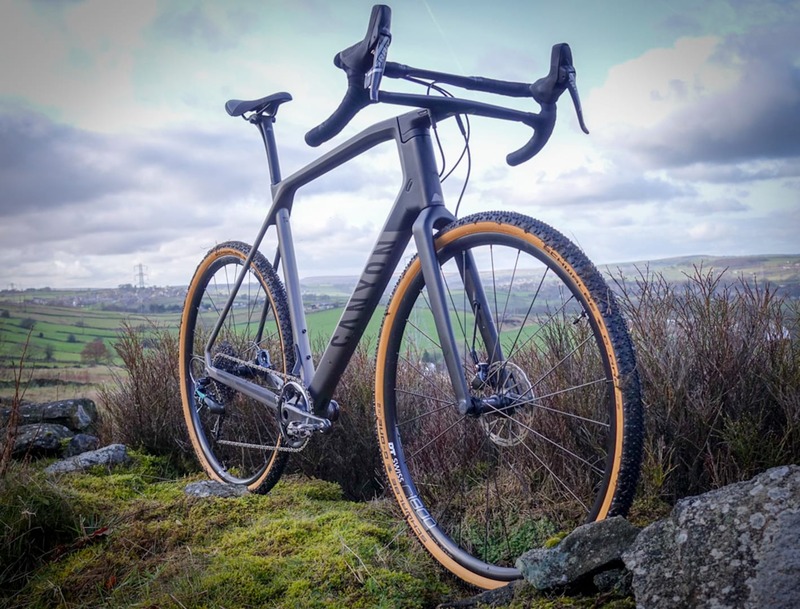 With the Road Plus upgrade, the wheels and tyres are tubeless ready – and indeed come all set up with sealant and valves all in place, so you’re ready to roll. It’s not just ‘tubeless ready’, it’s ready tubeless-ed. For those considering a purchase, it’s worth considering the geometry carefully, and perhaps taking advantage of test ride options. At 5’9.5″, Hannah is on the border of the small and medium frames – normally she’d be firmly in the medium zone. But the design is quite long, so you may find you’re not where you’d expect on the sizing charts. Cable disc brakes on Bronze and Silver builds. And what about that Road Plus thing? Basically it’s a 650B or 27.5in wheel and tyre, but shod with a slick 47c WTB Horizon tyre. Hannah has already ridden these on the dusty trails of Spain, as these also come fitted on the Kona Rove. So far, Hannah has also only had chance to ride these on the dry and dusty trails of Calderdale (Ssh! Don’t jinx the weather! ), but give her time and no doubt there will be some alternative conditions for her to play out in. Finishing kit is largely Cotic branded, though our test bike has come with a WTB ‘Female Focussed’ Koda Race saddle. Stem flipped up on the small frame for Hannah. If blue and orange isn’t loud enough for you, there’s also a purple frame and yellow bar tape option. So you can either reclaim and rehabilitate the colours, or show your UKIP support – depending on how you roll. Set it up for your riding style, and go play. Why on earth does he persist with bare cable for the routing? It is nonsense in 2018 to have to be faffing around with two sections of cable outer and having to keep it all clean instead of just running full length outers.